The common thread between these industries is that they all feature complex supply chains, large numbers of interconnected players, and vast amounts of data. The digital advertising industry shares those characteristics as well. These characteristics, combined with the industry’s transparency issues, make advertising a prime candidate for blockchain solutions. 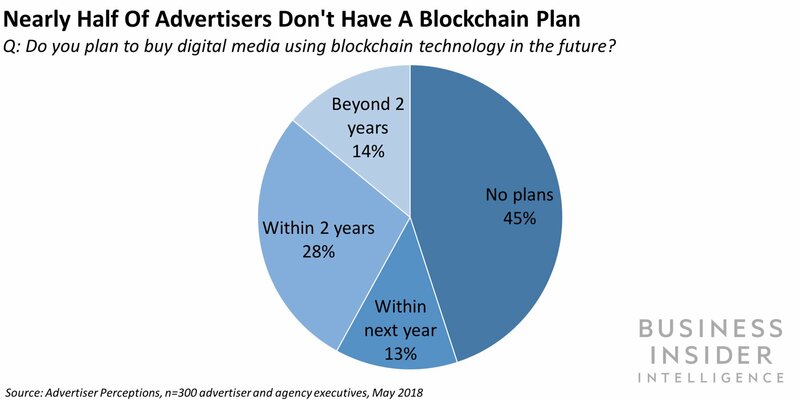 Blockchain can help solve one of the advertising industry’s biggest challenges: opaque advertising practices.Publishers, advertisers, and ad tech vendors are exploring blockchain as a tool to boost transparency around ad practices, with the end goal of reducing fraud. Ad fraud is expected to cost the industry $44 billion by 2022, up from $19 billion this year, according to Juniper Research estimates. Through its function as a public database, blockchain can store information about a digital advertisement, like who has created it, while sharing it with everyone else on the network in a verifiable and immutable way. For digital advertising, that means ad impressions can be tracked along the supply chain, and advertisers can record where an ad is delivered.